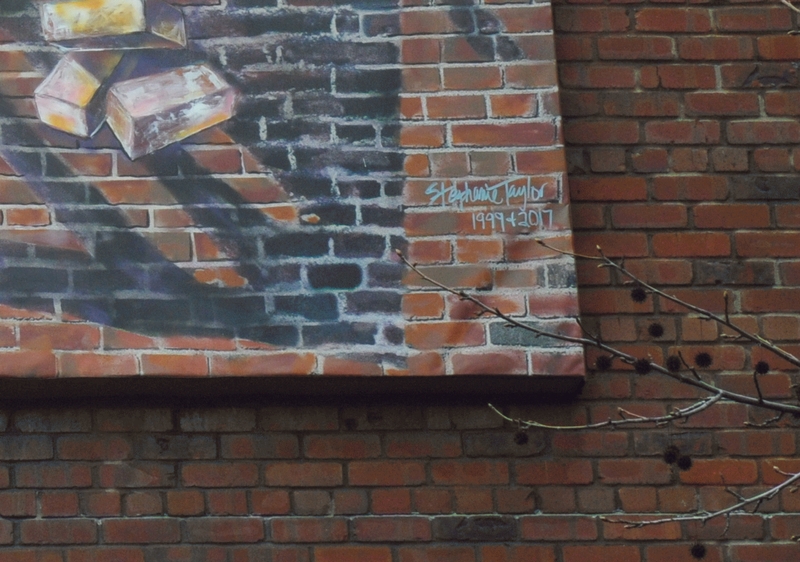 The artist's signature was in the lower right of the mural. 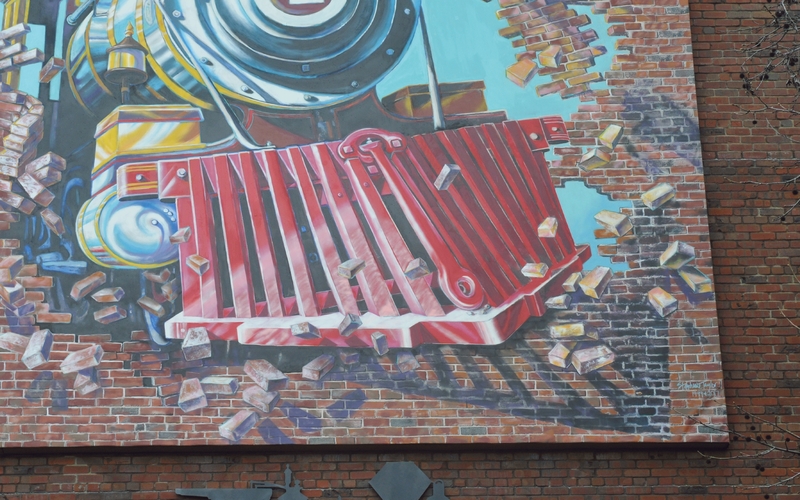 The two dates indicate that the mural was originally painted in 1999, and was later restored in 2017. 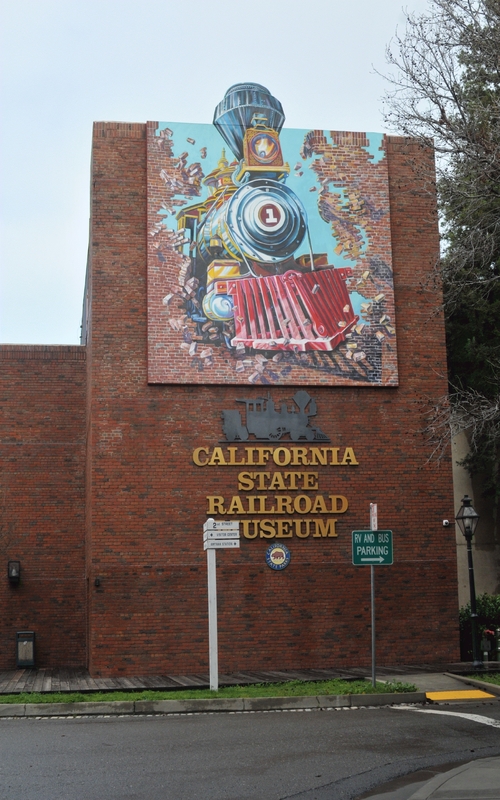 The mural shown in context with the side of the California State Railroad Museum. A sign indicated "RV and Bus Parking" off to the right of the museum. Stephanie Taylor used to be a Disney illustrator, so her train appears a bit cartoon-like. 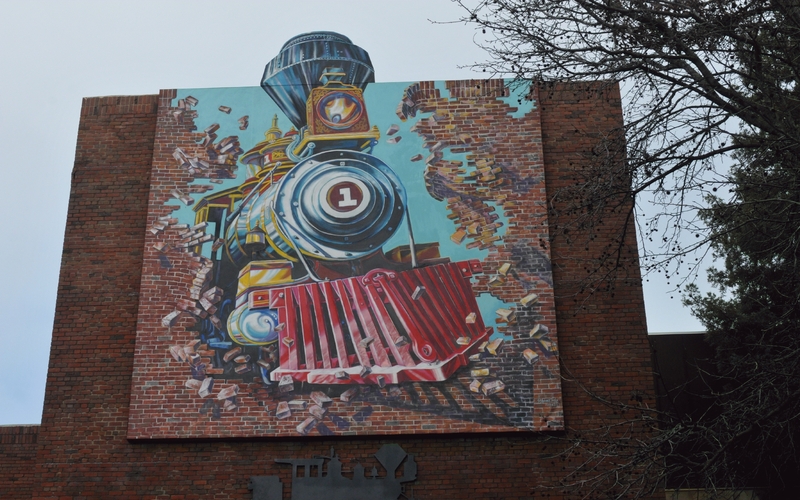 It is an idealized old steam train, that appears to have burst out through the brick of the museum. The red cow catcher at the front of the train was catching bricks on the way out. 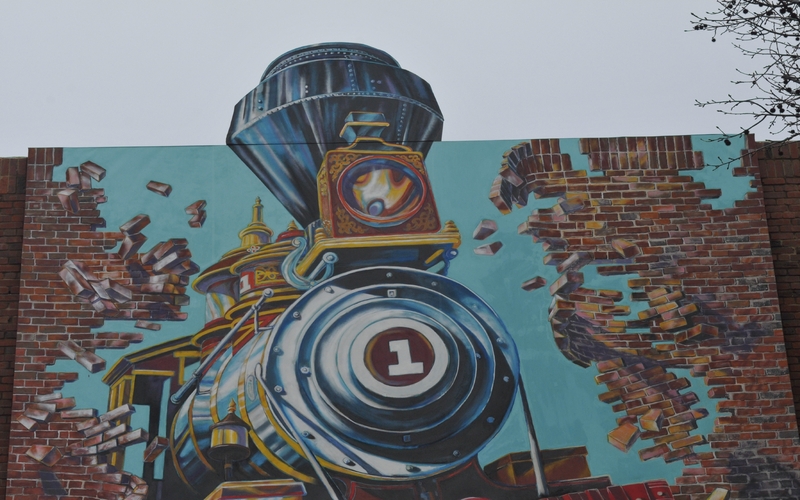 This mural depicted engine number 1, a classic, old steam engine, but looking all shiny and new. 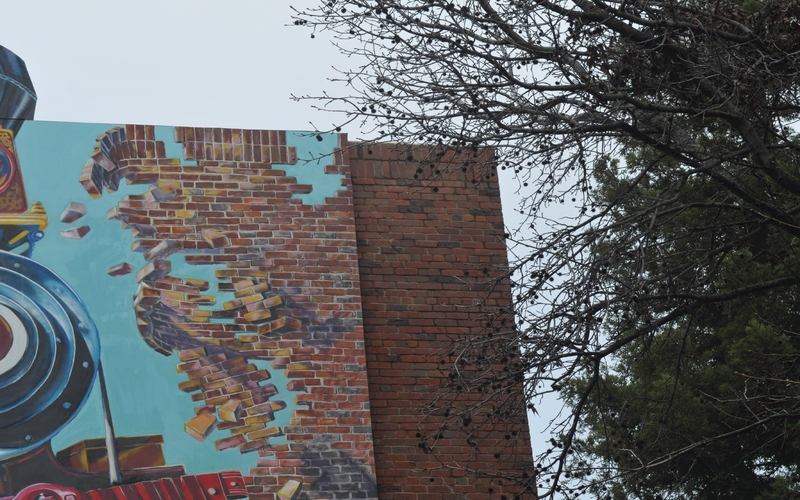 The bricks of the mural appeared lighter than the bricks of the building. This difference was probably due to an overcast and rainy day. The colors would probably match better on a sunny day.